This Saturday is Bacchanal, a day of music, collegiate pride, and public drunkenness. This unabashed celebration of Americanism can only be rivaled in one way: by seeing a John Ford movie. This weekend there are three chances to see his 1962 film, The Man Who Shot Liberty Valance. This classic western is a paradigm of the conventions that Ford so notoriously created and questioned. It also marks the passing of the torch from John Wayne’s Old West to the revisionist Westerns that came to take its place. The Man Who Shot Liberty Valance is playing at the IFC Center on Friday, Saturday, and Sunday, all at 11:00 AM. Speaking of America’s classical romantic heroism, this weekend you can catch Chris Rock on the big screen. He stars in CB4, a 1993 satire of early 90s rap culture. Replete with nods to Death Row, De La Soul and N.W.A., the film follows three aspiring rappers as they take on the world of gangsta rap. CB4 is playing Friday, April 12th at 7:30 at 92YTribeca. In celebration of the film’s twentieth anniversary, the screening will be followed by a Q&A with director Tamra Davis, screenwriter/producer Nelson George, and producer Sean Daniel, moderated by writer Touré. 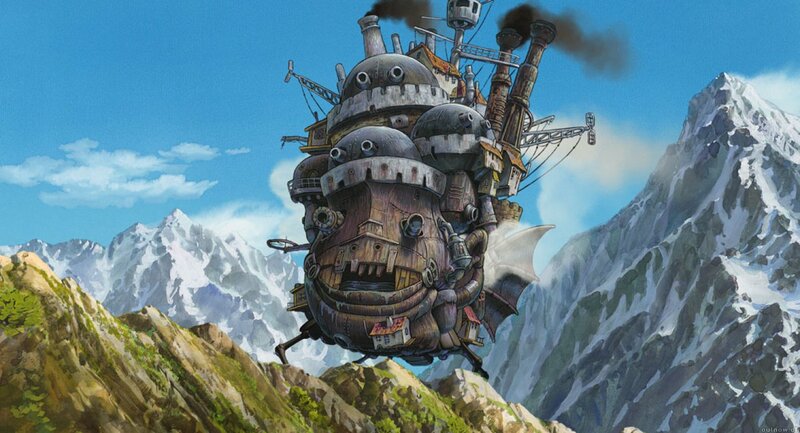 This weekend marks the end of the ongoing Miyazaki series playing at BAM. The series, which started on April 5th, has been tracing nearly three decades of Miyazaki’s profoundly beautiful and strange animated features. The series is culminating in some of his best known films, including Kiki’s Delivery Service (Saturday at 2:00 and 4:30), Howl’s Moving Castle (Saturday at 7:00 and 9:30), and Spirited Away (Sunday at 2:00, 4:30, 7:00, and 9:30). Written by: Julia Selinger on April 12, 2013.